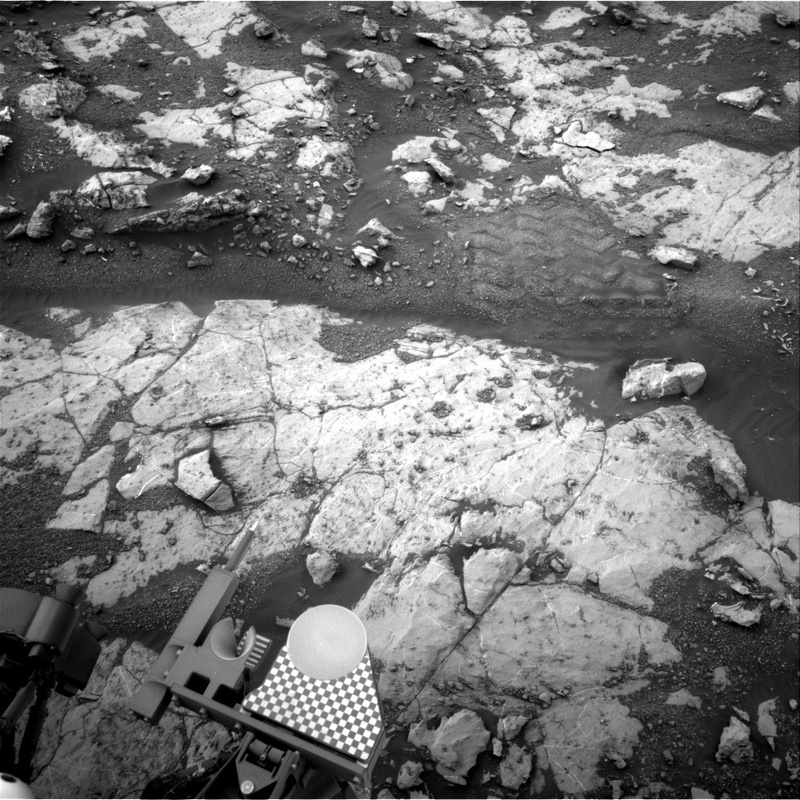 Today we planned two sols to kick off our drilling campaign. On Sol 2134 we will perform triage contact science observations to document our new drill target, which we've named "Stoer." We'll use our Dust Removal Tool (DRT) to brush away some of the surface dust over Stoer before imaging it with the MAHLI camera and performing chemical analyses with the APXS instrument. To prepare for drilling, we'll then perform a "pre-load" test, where we position the drill in contact with the Stoer rock surface and press down. This allows our mission engineers to verify that the rock is stable enough for drilling. Later in the afternoon, we'll assess the Stoer area with a Mastcam mosaic and perform some environmental monitoring observations with Navcam. Finally, we'll place the APXS instrument on Stoer overnight to get a nice long chemical observation. On Sol 2135, we planned a suite of remote science observations, including REMS, DAN, and Navcam atmospheric observations. After we move the robotic arm out of the way, we'll perform two ChemCam LIBS analyses: one on Stoer, the other on the target "Strontian," a nearby darker gray bedrock target. We'll document both targets with Mastcam images and use additional camera filters to analyze Stoer; we call this observation a "multispectral" observation. We'll end the day with a SAM electrical baseline test (EBT), which we periodically perform to monitor the SAM instrument's electrical functions.